The metropole at the Bosporus gives me a first taste of the asian continent that I’m about to discover by crossing the bridge. A door to a different world. There are loads of cars, a dynamic atmosphere. Everything is in movement, all the time. “Be careful with traffic, it’s something you are not used to, it’s not the same as in Europe.” That’s the message my host leaves to me. On highways with three lanes, the traffic flows through the city on streets as if they were venes. This system makes me bump into people who are so much kinder than many i have met in Europe. Three planned days in Istanbul become ten intense days with a motorcycle trip to the coast of the marmara ocean, long evenings in different parts of the city, a dancing night in the – after Buenos Aires – second biggest city of tango dancing in the world, and days with so many incredible impressions, smells, tastes in the different parts of this former “Constantinople”, today’s Istanbul. With these days, the feeling of being at home has already begun. 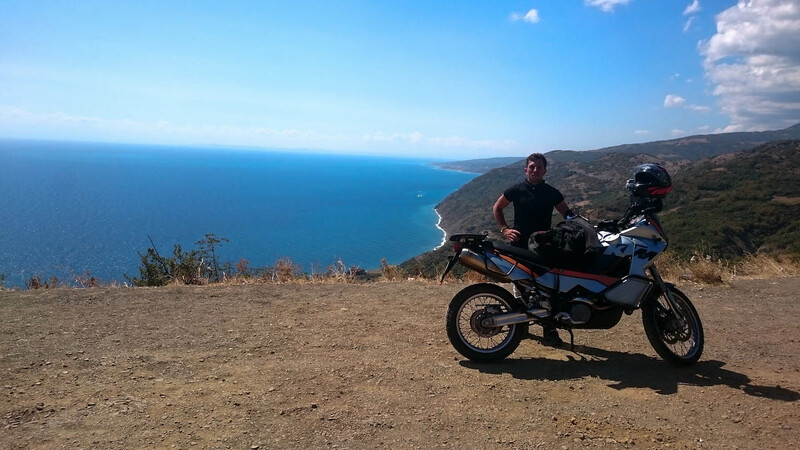 Leaving Istanbul is hard but the whole south west coast to travel on my motorcycle is still in front of me. 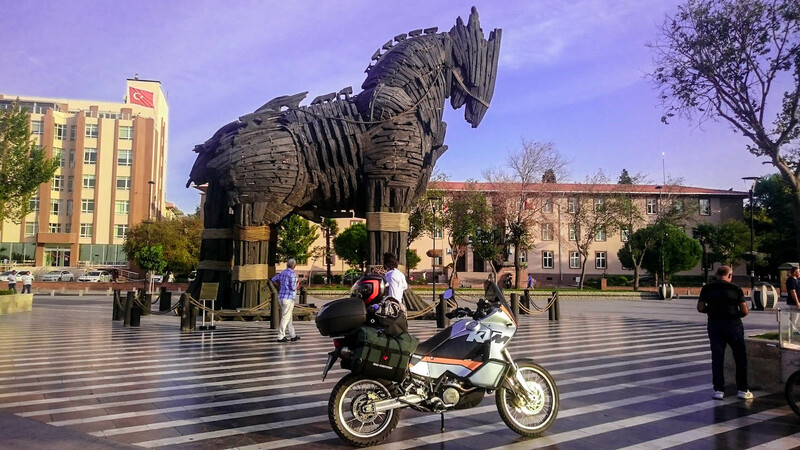 It’s the region where you can almost smell greek history and hear the sound of the battles from ancient times. 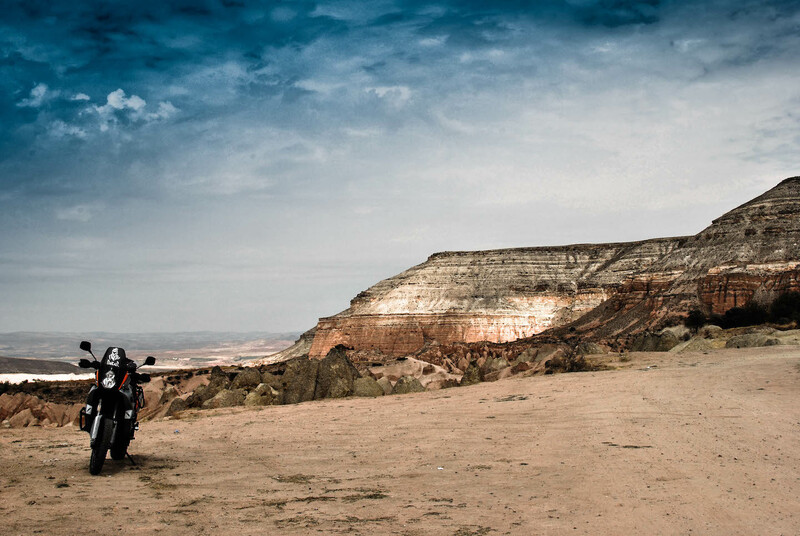 Thousands of years old ruins have meen standing here, hills with olive trees and beautiful landscapes that I cross, on my roaring KTM motorcycle. 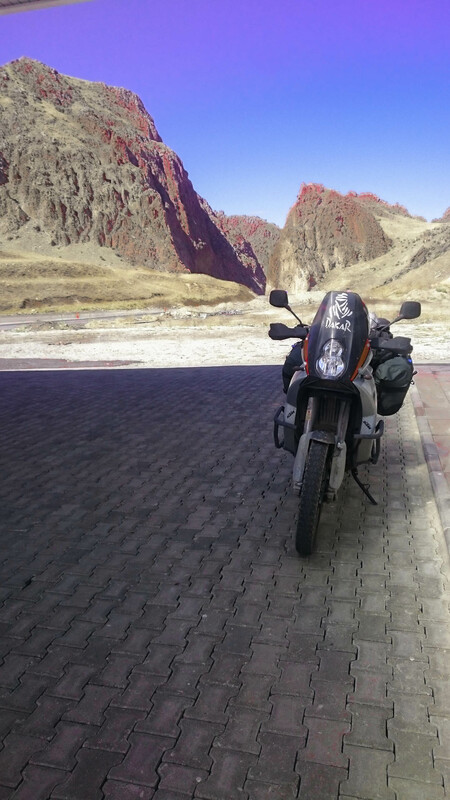 Through the middle of Cappadocia with its unique rock formations, I move in a cloud of dust and sand on my motorcycle, through a strange and beautiful landscape. 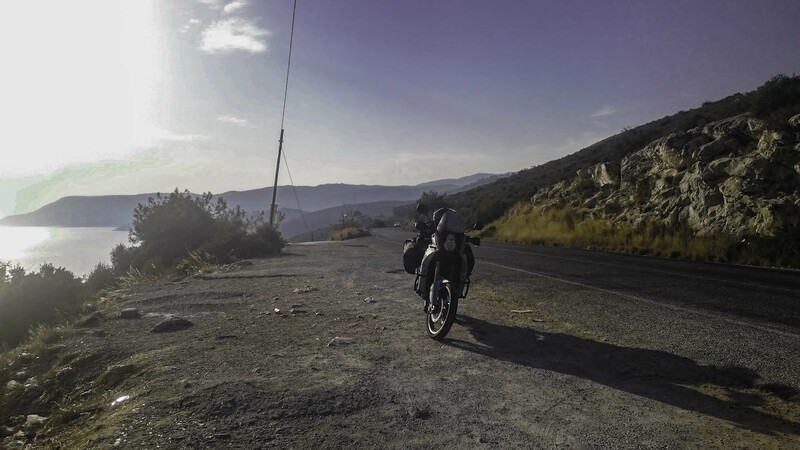 To East the street surface starts getting worse and worse but I don’t stand still and climb um higher and higher on my motorcycle until I find myself on the anatolian high plateau. Now I take the direction down, towards Iran. I drive as fast as it goes because I want to meet friends from Vienna in Teheran who are waiting for me there already. It’s a cold night and after searching a spot to set up my tent I realize that in the mean time my license plate has disappeared. Although I start searching all through the night I can’t find it. 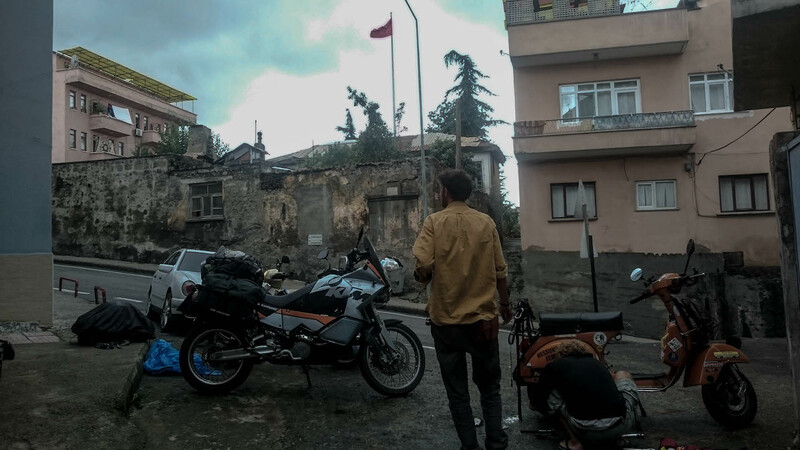 But I didn’t give up and decided to travel Trabzon and spend time with a very traditional living family in the heart of Anatolia and get to know their point of view on Turkey, on Anatolia and life. Maybe sometimes things happen for a reason. 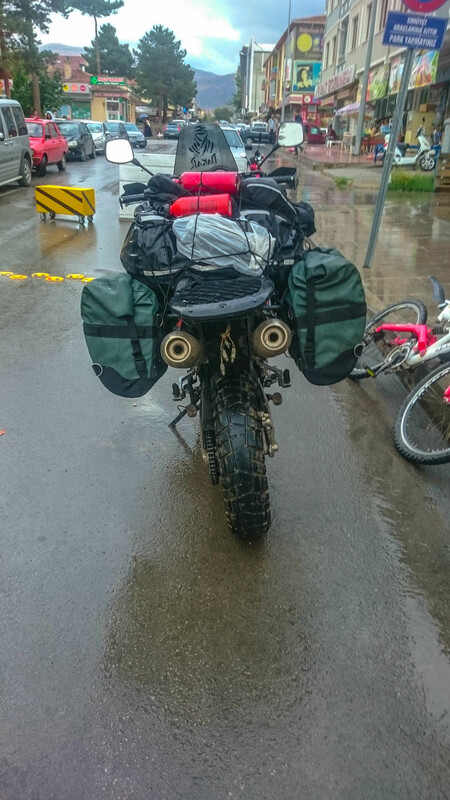 After one week at the coast of the black ocean, a lot of fish, countless cups of tea and a lot of new friendships it’s time to move on in the direction of Dogubeyazit, the last stop and city before hitting the next target, Iran. At the horizon I can see the colossal Ararat Mountain with its snow covered peak on 5.137 m and the highest spot in Turkey. 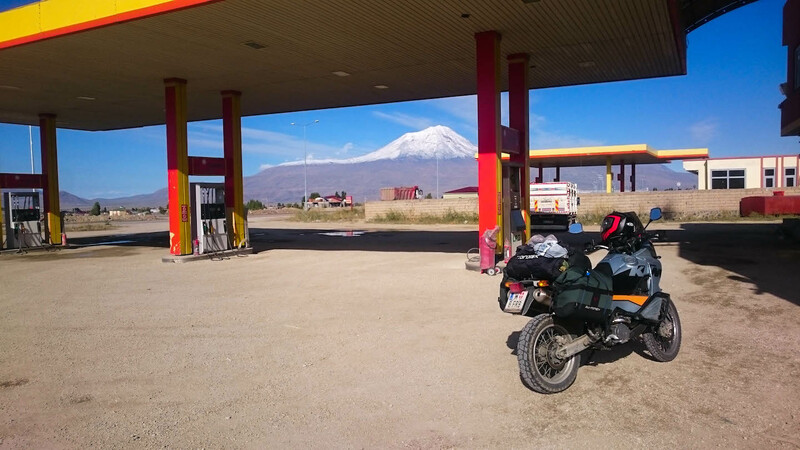 According to a myth, a piece of wood from the Noah’s Arch has been found here on a spot at 4.000 m.
A night on the only camping ground of the city and a 20 km long road through the desert are the only two things separating me from the boarder to Iran. I can smell the orient already.